Real Madrid star Cristiano Ronaldo accepted casting doubt over his future was mistimed, but he offered no guarantees after his side's latest Champions League success. 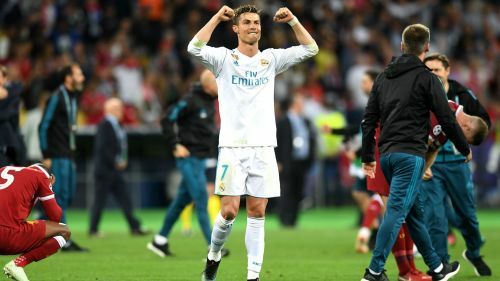 Ronaldo, 33, became the first player to win five Champions League titles after Madrid's 3-1 victory over Liverpool in Kiev on Saturday. But the Portugal international threatened to overshadow that success by hinting at a shock exit in the post-match. Ronaldo said his comments were mistimed after his team's win, which was inspired by a Gareth Bale brace. "I spoke and I should not have done it, but something is going to happen," he told reporters. "It is not the right time, but I was honest. I will say something in a week because the fans have always supported me and they are in my heart." However, Ronaldo, who was quiet in the decider, said he had no regrets over his decision to speak out. Despite being contracted until 2021, Ronaldo said it was no certainty he would be at Madrid next season. "I cannot guarantee anything. I'm not going to hide. In the next few days, I'll talk," he said. "Life is not just glory. I speak and greet him [Madrid president Florentino Perez], like a good professional that I am. "A storm is being created where there is none."